Take a look back on the best design work and trends from the past 12 months with the Creative Bloq Design Annual 2017. Is it nearly the end of 2016 already? There have been so many inspirational projects across the board we've simply lost track of the time. 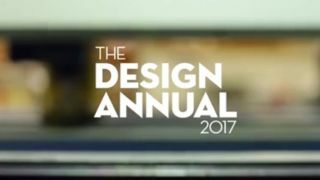 To help you catch up on the best work and trends from the last twelve months, or if you simply want to reflect on all the brilliant projects that have emerged, Creative Bloq has put together the Design Annual 2017. This beautifully presented 224-page book has been compiled by the editors of Computer Arts, net magazine, 3D World, and, of course, Creative Bloq itself. Packed with award-winning work from the fields of graphic design, packaging design, web design, illustration and more, this annual is a treasure trove of projects that is sure to fuel your creativity well into 2017. You'll have to get a move on if you want to get your hands on a copy though. With a limited print run of just 500 copies, selling at an RRP of £40/€49/$52, be sure to order now to avoid disappointment. Get a sneak peak of what to expect in the video teaser below.